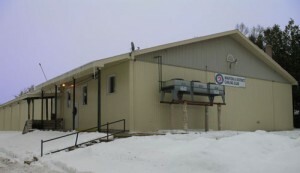 The Wiarton & District Curling Club was built in 1963 by a group of local curling enthusiasts. Owing to dedication and hard work, the Club has prospered, and through the years provided excitement, entertainment, and many great memories for members and visitors alike. The Club operates as a co-operative, in that members are involved with all aspects of the operation of the facility. Everything, from installing the ice in the fall, to operating and managing the kitchen and bar, to organizing and running the various bonspiels, league schedules, and fund-raising events are handled by ordinary members. It is through the assistance of the membership that we can keep our membership fees low; in fact we offer some of the lowest fees of any curling club. Without this co-operative spirit, the Club as we know it could not exist. As a non-profit corporation, the Club is governed by an Executive Board which is elected annually by the membership, and is responsible for the enforcement of Club by-laws, and the overall management of the Club. The Executive meets on (at minimum) a monthly basis, even during the off-season. The Club serves several important functions in the community. Most importantly, it provides a venue for curling, as both an athletic pursuit, and as a source of entertainment and social interaction for local residents. The Club also promotes skills development in the sport of curling, and encourages its members to participate in competitions both within and outside of the club. To this end, the Club hosts bonspiels and OCA-sponsored competitions which draw talent to Wiarton from across Ontario. Beyond curling, the Club provides facilities for large functions such as banquets and parties, and is available to community groups throughout the year.